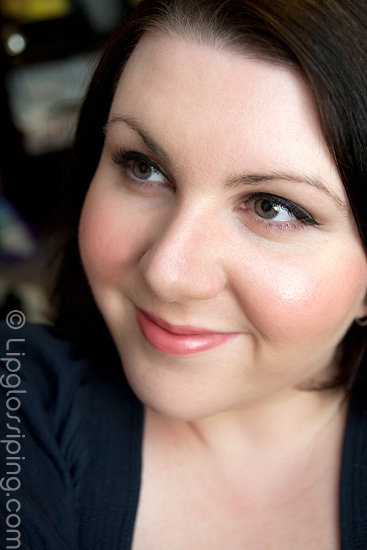 Stargazer are a budget brand that I’ve had some real success with in the past… infact, one of the first things I ever reviewed was a Stargazer cake eyeliner that I still enjoy using to this day. 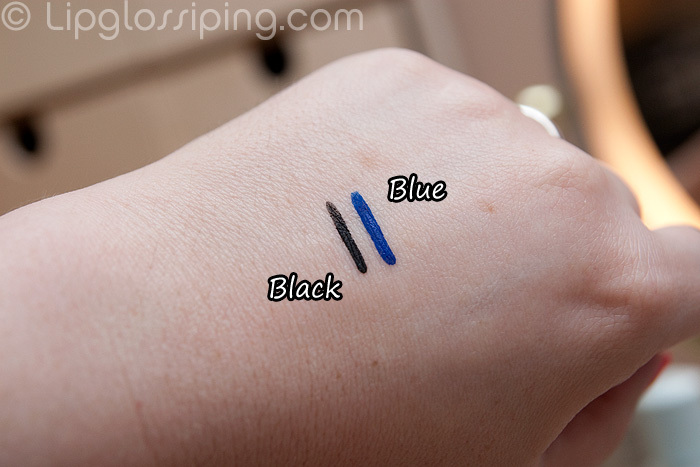 I received a couple of their liquid eye liners to have a play with and initially… I was mega OVERLY excited. Look! 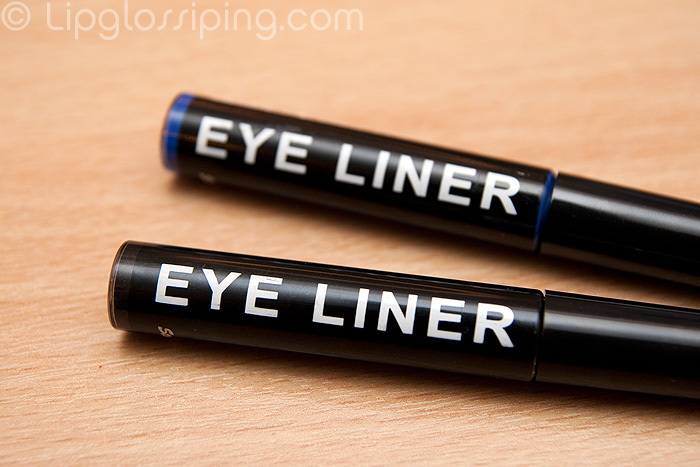 I thought they were gonna be huge chunky felt tip type liquid eye liners. The idea really appealed to me in theory (in reality of course, great big sharpie-type liquid eyeliners would ensure I made even more of a mess than I usually do). The ‘nib’ is a flexible nylony bristle type affair. 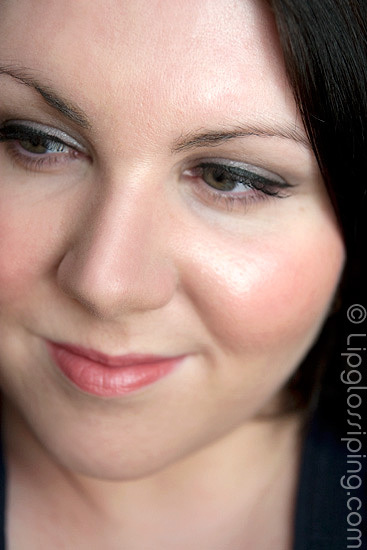 It holds together well and doesn’t splay or flop about during application. 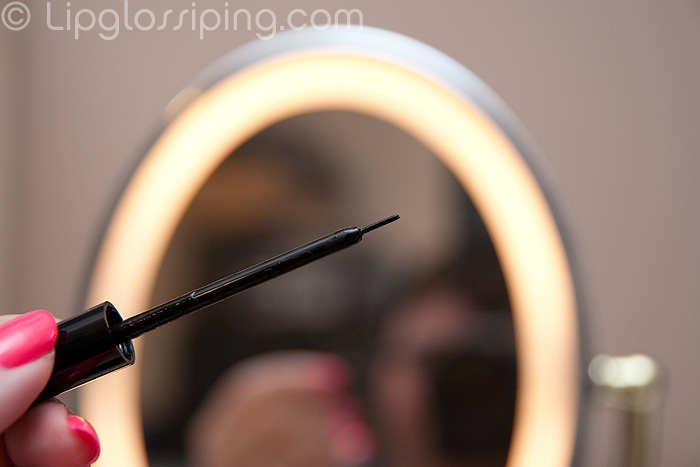 It produces a substantially pigmented black line that’s thin enough to tightly line the lashline. The above photo shows the line after I’d built it up to get the kinda thickness that I usually like. I received two shades, black and blue. Both are true to description… the black is pure with no charcoal ashiness. The above swatch shows one swipe from each shade. Impressive huh? My only negative is that drying time was a little slower than I’m used to thanks to a wetter formula. I’d estimate that it took around a minute before I felt comfortable enough to let my (hooded eyelid) droop back over my lashline. However, once set… this stuff isn’t budging or transferring ’til makeup removal time. It doesn’t flake and it doesn’t fade. Phenomenal. 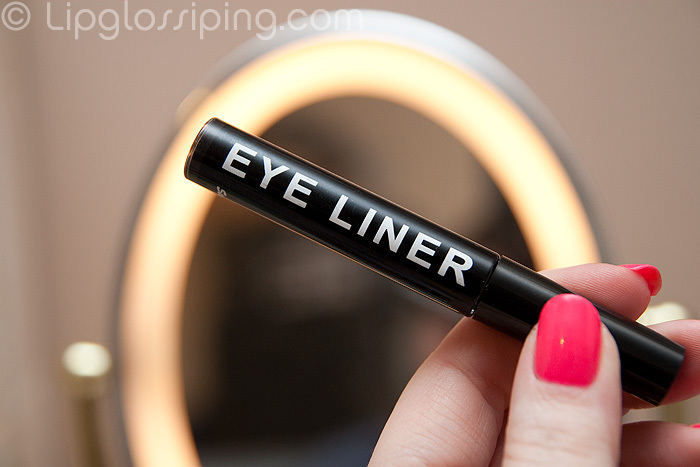 If you’re looking for a purse-friendly “does what it says on the tin” liquid eyeliner… I’d wholeheartedly recommend these from the Stargazer range. They do a host of shades and I’m gonna check out the violet and red (though I could probably use an intervention… I’m not gonna use a freakin’ red eyeliner am I?). You can buy Stargazer’s Liquid Eyeliners online or from New Look at the ridiculously good price of £3 each. I think I need to start wearing liquid eyeliner more, as I ALWAYS get transfer onto my socket line from eye pencils (I actually think I’ve got a similar eye shape to you), even Urban Decay 24/7 when wearing primer…the only reason I don’t is because I can never find liquid liners in the colours I like (read: UD Stash)…I may have to check out this range, especially as it is so cheap! Ooo thanks for the link: they’ve got it in white (yay), now we are talking. i cant agree with that brush though and would plonk in a 2true brush from superdrug in it. I wonder what the pink looks like. I have these in neon pink and turquoise and they’re amazing, they really don’t budge or fade, although application is tricky, it is true…the black looks good too so I may have to pick that up! @liloo – yeah… ‘cos I’m always painting up my face me! What color is your nail polish in these pics? It’s absolutely stunning!